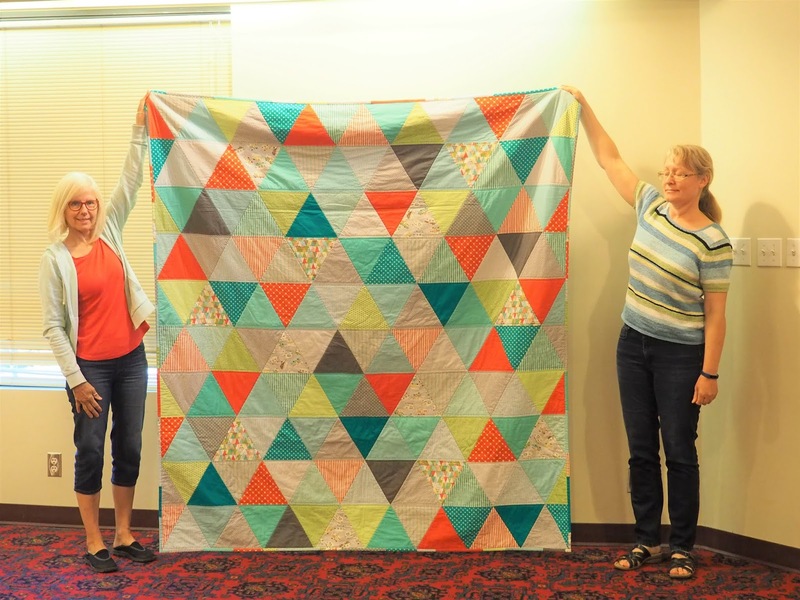 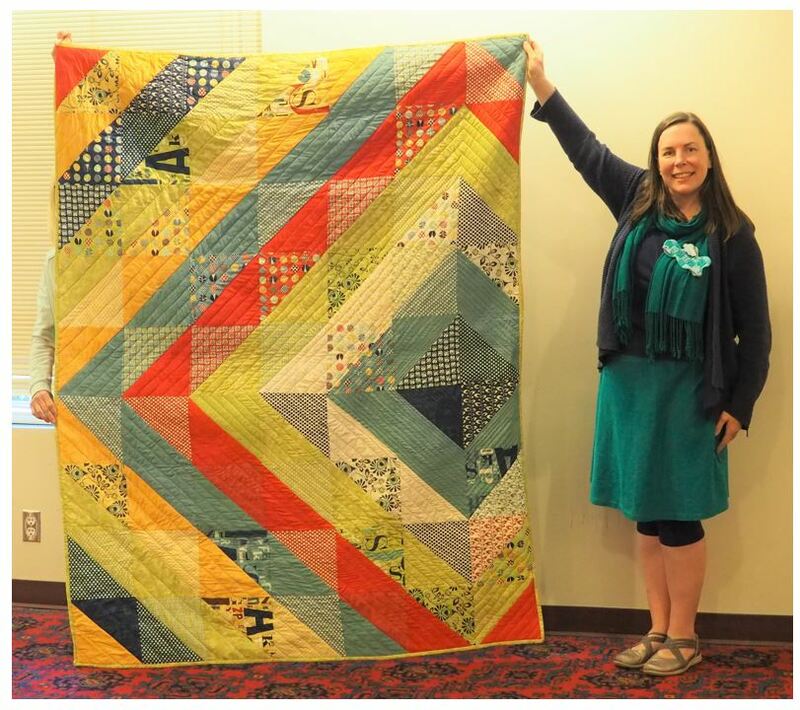 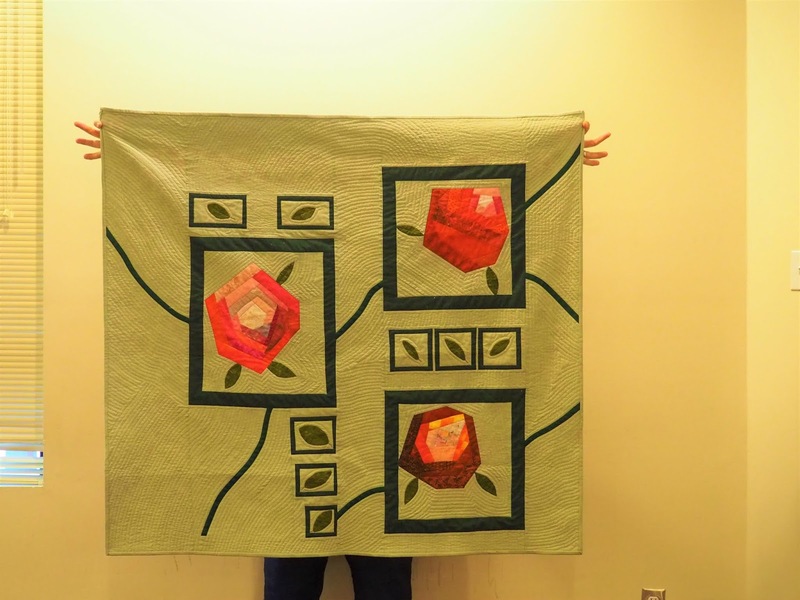 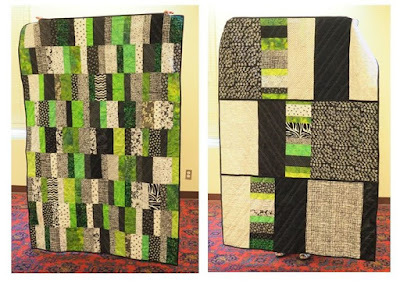 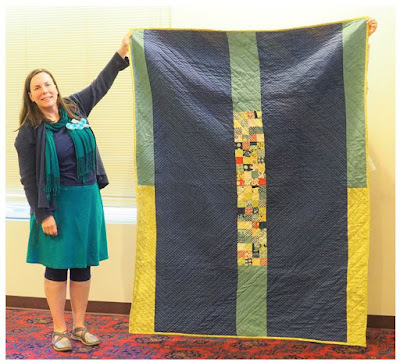 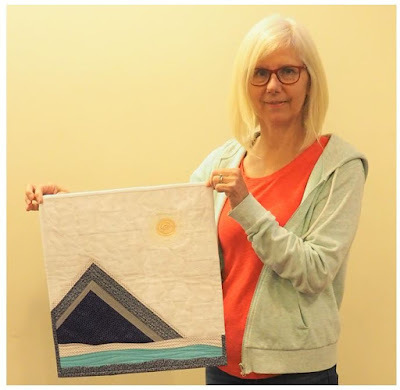 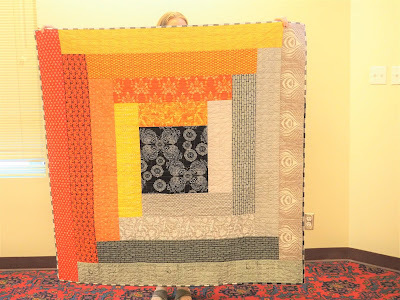 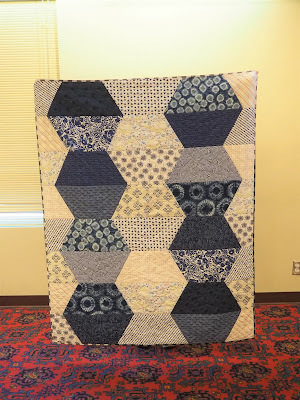 Here are the yummy quilts members shared at the June meeting! 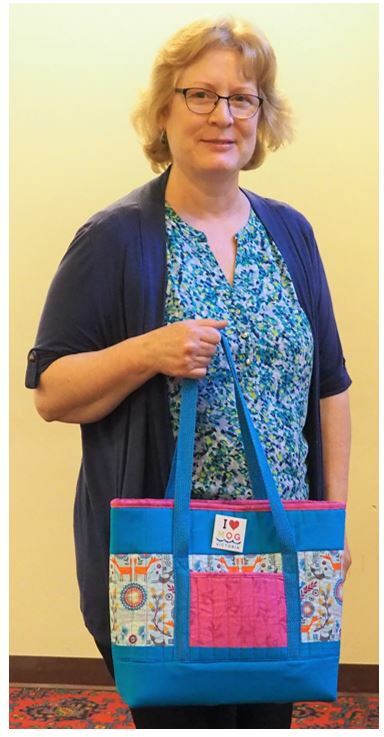 Darlene made a striking design from charm packs and layer cakes. Natalie also made this hexagon quilt in her continuing quest to use up her stash! 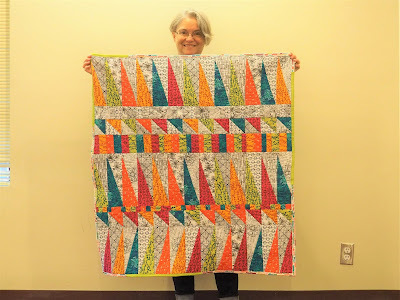 Dawna's "Happy Camper" quilt, which she finished while on a camping trip. 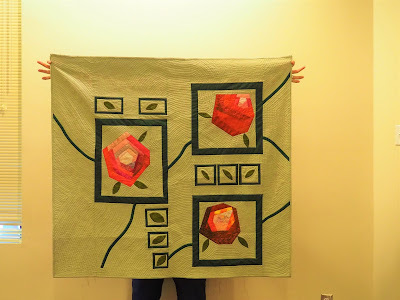 She wanted red thread for the label and hadn't brought any, so she unraveled some stitching from her red hoodie... now that's dedication! ... and she completed this mini for the Riley Blake challenge, called "Banff Beauty." 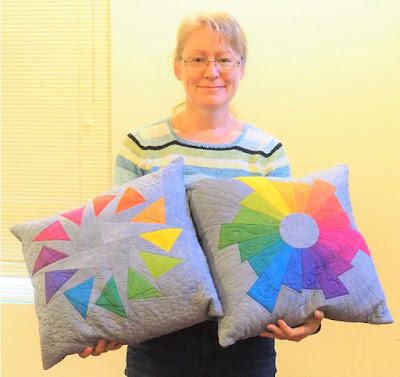 Michelle made these pillows from her own hand-dyed fabrics, and did some beautiful ruler work in the quilting. Cindy's first time making a tote was a great success! This quilt-as-you-go, called "Easy Does It," was made by Ursula from her own pattern. 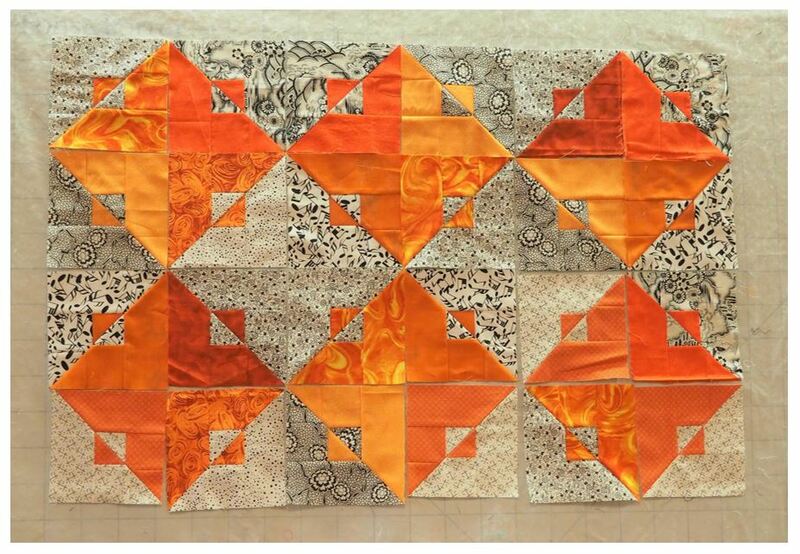 Jay's latest finish, made from a kit bought online from Saskatchewan. 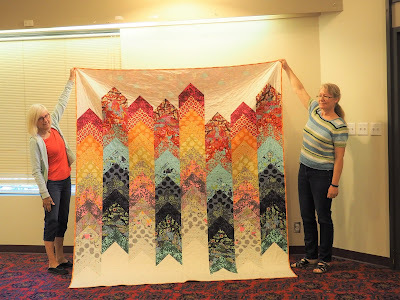 Carol said she "finally brought something finished!" 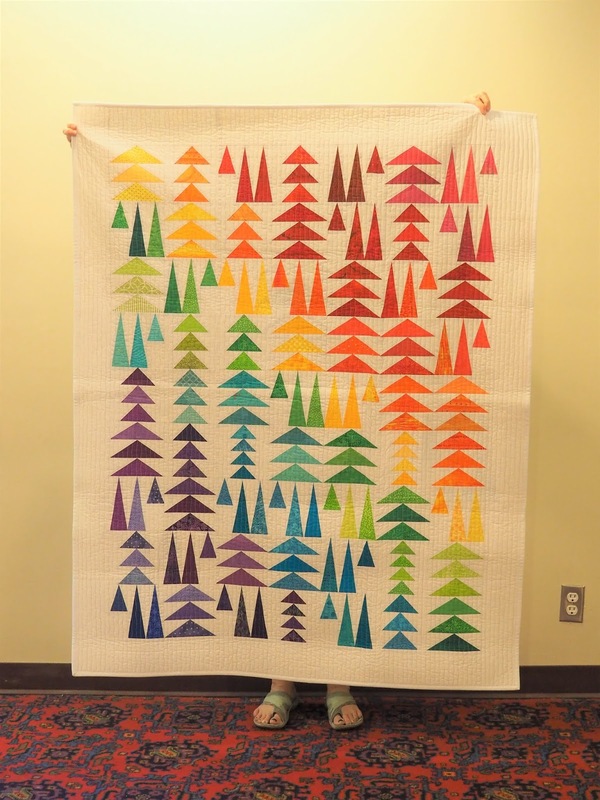 The pattern for this quilt is from the book "Accentuate the Negative: Making the Most of Negative Space in Modern Quilts" by Trisch Price.